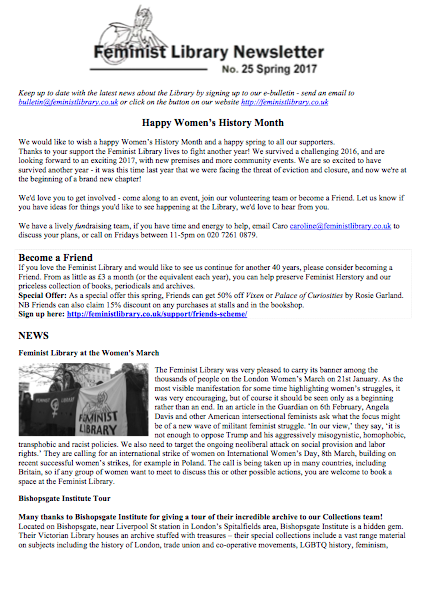 Subscribe to The Feminist Library’s monthly E-Bulletin. Receive email updates about what we’re doing, our stalls, meetings and other events. Read our latest E-Bulletin online here. We also produce a quarterly paper Newsletter, available to pick up from the Library and at all our stalls and events. This includes our latest news, articles, book reviews, new acquisitions and upcoming events. Download previous issues of our Newsletter below. All issues are PDF files.